Has infrared sensor and bumper and features a UV lamp for additional disinfecting. Rank: #21 out of 281. Programming scheduled cleans, toggling the UV lamp, and manually driving the bot. Bobsweep PetHair Plus is a very popular option in the middle of the robotic vacuums price range. 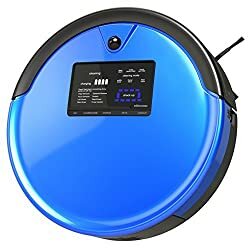 It's in the top 3 bestselling robotic vacuums and has dozens of popular alternatives in the same price range, such as Ecovacs Deebot Ozmo 601 or Roomba 770 . Bobsweep PetHair Plus is $0.99 cheaper than the average robotic vacuum ($249.99).